Many people own a family vacation home--a lakeside cabin, a beachfront condo--a place where parents, children and grandchildren can gather for vacations, holidays and a bit of relaxation. 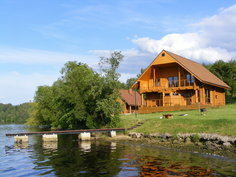 It is important that the treasured family vacation home be considered as part of a thorough estate plan. In many cases, the owner wants to ensure that the vacation home remains within the family after his or her death, and not be sold as part of an estate liquidation. There are generally two ways to do this: Within a revocable living trust, a popular option is to create a separate sub-trust called a "Cabin Trust" that will come into existence upon the death of the original owner(s). The vacation home would then be transferred into this Trust, along with a specific amount of money that will cover the cost of upkeep for the vacation home for a certain period of time. The Trust should also designate who may use the vacation home (usually the children or grandchildren). Usually, when a child dies, his/her right to use the property would pass to his/her children. The Cabin Trust should also name a Trustee, who would be responsible for the general management of the property and the funds retained for upkeep of the vacation home. The Trust can specify what will happen when the Cabin Trust money runs out, and the circumstances under which the vacation property can be sold. 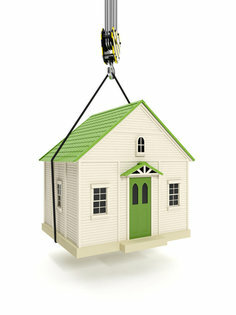 Often the Trust will allow the children the first option to buy the property. Another method of preserving the family vacation home is the creation of a Limited Liability Partnership to hold the house. The parents can assign shares to their children, and provide for a mechanism to determine how to pay for the vacation home taxes and upkeep. An LLP provides protection from liability, in case someone is injured on the property. It is always wise to consult with an estate planning attorney about how to best protect and preserve a vacation home for future generations. When you are a child, your parents serve as your decision makers. They have ultimate say in where you go to school, what extracurricular activities you partake in and where, and how, you should be treated in the event of a medical emergency. While most parents continue to play a huge role in their children’s lives long after they reach adulthood, they lose legal decision-making authority on that 18th birthday. Most young adults don't contemplate who can act on their behalf once this transfer of power occurs, and consequently they fail to prepare advance directives. In the event of a medical emergency, if a young adult is conscious and competent to make decisions, the doctors will ask the patient about his or her preferred course of treatment. Even if the individual is unable to speak, he or she may still be able to communicate by using hand signals or even blinking one’s eyes in response to questions. But what happens in instances where the young adult is incapacitated and unable to make decisions? Who will decide on the best course of treatment? Without advance directives, the answer to this question can be unclear, often causing the family of the incapacitated person emotional stress and financial hardship. In instances of life threatening injury or an illness that requires immediate care, the doctors will likely do all they can to treat the patient as aggressively as possible, relying on the standards of care to decide on the best course of treatment. However, if there is no "urgent" need to treat they will look to someone else who has authority to make those decisions on behalf of the young individual. Most states have specific statutes that list who has priority to make decisions on behalf of an incapacitated individual, when there are no advance directives in place. Many states favor a spouse, adult children, and parents in a list of priority. Doctors will generally try to get in touch with the patient’s "next of kin" to provide the direction necessary for treatment. 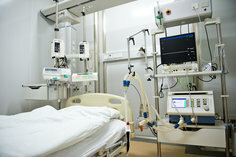 A number of recent high-profile court cases remind us of the dangers of relying on state statues to determine who has the authority to make healthcare decisions on behalf of the ill. What happens if the parents of the incapacitated disagree on the best course of treatment? Or what happens if the patient is estranged from her spouse but technically still married- will he have ultimate say? For most, the thought is unsettling. 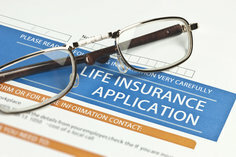 To avoid the unknown, it’s highly recommended that all adults, regardless of age, work with an estate planning attorney to prepare advance directives including a health care power of attorney (or health care proxy) as well as a living will which outline their wishes and ensure compliance with all applicable state statutes. In creating a trust, the trustmaker must name a trustee who has the legal obligation to administer it in accordance with the trustmaker’s wishes and intentions. In some cases, after the passing of the trustmaker, loved ones or beneficiaries may want to remove the designated trustee. The process to remove a trustee largely depends on two factors: 1) language contained with the trust and 2) state law. When determining your options, there are a number of issues and key considerations to keep in mind. First, it is possible that the trust language grants you the specific right to remove the named trustee. If it does, it likely will also outline how you must do so and whether you must provide a reason you want to remove them. Second, if the trust does not grant you the right to remove the trustee, it may grant another person the right to remove. Sometimes that other person may serve in the role of what is known as a "trust protector" or "trust advisor." If that is in the trust document you should speak to that person and let them know why you want the trustee removed. They would need to decide if they should do so or not. Finally, if neither of those is an option, your state law may have provisions that permit you to remove a trustee. However, it may be that you will have to file a petition with a court and seek a court order. You should hire an attorney to research this for you and advise you of the likelihood of success. Another option may be to simply ask the named trustee to resign. They may do so voluntarily. Assuming the trustee is removed, whether by you, a trust protector, or by court order, or if the trustee resigns, the next issue is who is to serve as the successor trustee. Again, looking at the terms of the trust should answer that question. Perhaps a successor is specifically named or perhaps the trust provides the procedure to appoint the successor. Before proceeding, you will want to make certain you know who will step-in as the new trustee. Many people erroneously assume that when one spouse dies, the other spouse receives all of the remaining assets; this is often not true and frequently results in unintentional disinheritance of the surviving spouse. In cases where a couple shares a home but only one spouse’s name is on it, the home will not automatically pass to the surviving pass, if his or her name is not on the title. Take, for example, a case of a husband and wife where the husband purchased a home prior to his marriage, and consequently only his name is on the title (although both parties resided there, and shared expenses, during the marriage). 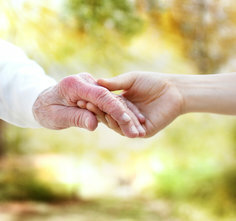 Should the husband pass away before his wife, the home will not automatically pass to her by “right of survivorship”. Instead, it will become part of his probate estate. 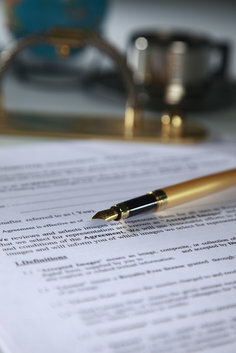 This means that there will need to be a court probate case opened and an executor appointed. If the husband had a will, the executor would be the person he nominated in his will who would carry out the testator’s instructions regarding disposition of the assets. If he did not have a will, state statutes, known as intestacy laws, would provide who has priority to inherit the assets. In our example, if the husband had a will then the house would pass to whomever is to receive his assets pursuant to that will. That may very well be his wife, even if her name is not on the title. 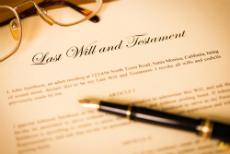 If he dies without a will, state laws will determine who is entitled to the home. Many states have rules that would provide only a portion of the estate to the surviving spouse. If the deceased person has children, even if children of the current marriage, local laws might grant a portion of the estate to those children. If this is a second marriage, children from the prior marriage may be entitled to more of the estate. If this is indeed the case, the surviving spouse may be forced to leave the home, even if she had contributed to home expenses during the course of the marriage. Laws of inheritance are complex, and without proper planning, surviving loved ones may be subjected to unintended expense, delays and legal hardships. 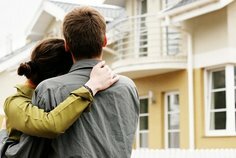 If you share a residence with a significant other or spouse, you should consult with an attorney to determine the best course of action after taking into account your unique personal situation and goals. There may be simple ways to ensure your wishes are carried out and avoid having to probate your partner’s estate at death.